A watch for me is such a timeless piece (no pun intended), it goes with anything that I wear and always looks beautiful. I have a very small collection of them that get rotated depending on the occasion and outfit that I am wearing, it feels very 'adult' like to have a few watches but it really is something that makes me feel and look the part. 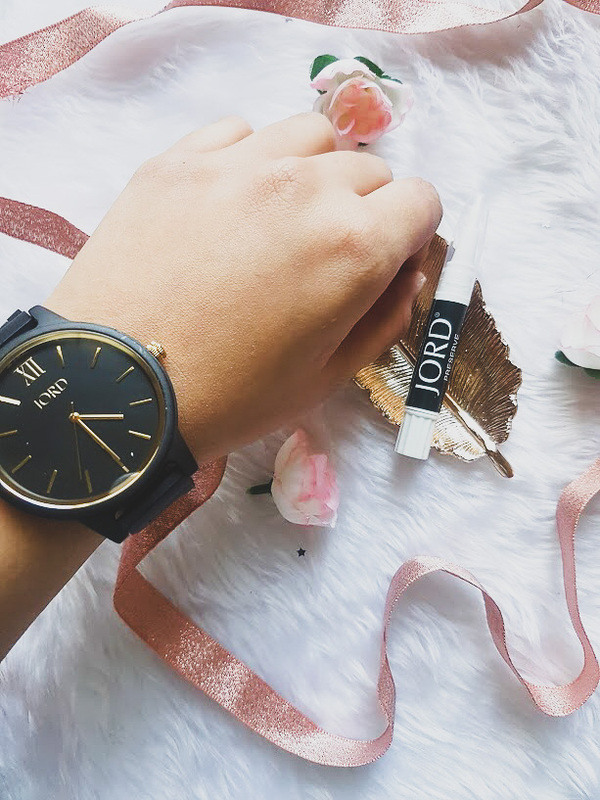 JORD Wood Watches are the perfect accessory to add into your everyday or even evening wardrobe as they add a touch of class and style. 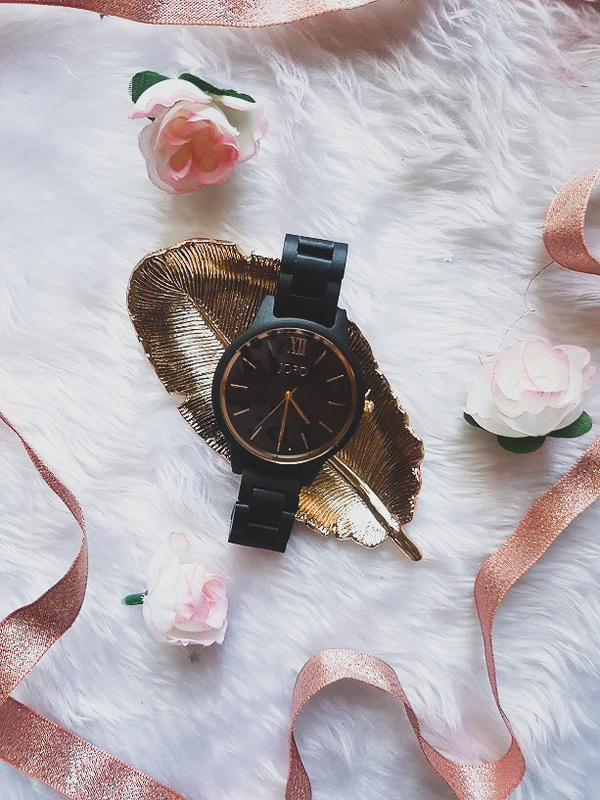 This gorgeous wood watch is from the Frankie series and is the Ebony & Gold version ($189). Can we take a minute to appreciate it? The detailing on it, the work that has gone into it and of course the contrast of the gold against black is like no other pairing - it is perfect. I think the simplicity of this watch is what makes it stand out to me, it strips back from the fancy detailing you find on other watches and keeps it simple and to the point. I have never come across something like these watches, each one is made to fit you perfectly and has been created with people in mind. The quality is very high and the shipping was super fast from the US. I have been wearing this to work recently as it makes me seem a lot more professional, compared to a girly pink watch that I usually wear. 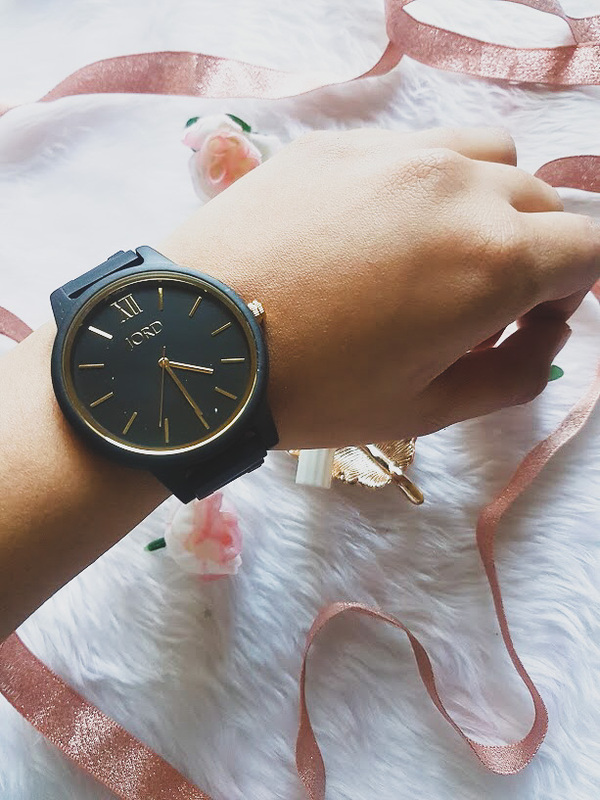 The black is very different for me and very daring but I absolutely love how it looks and the addition of the gold on the face and inside the face looks amazing and the watch has received so many compliments since I have been wearing it. What I love about JORD is that you can make each watch special and unique to that someone special. With Valentines Day coming up, this is the ideal gift to give to someone close to you as ther Wooden Wrist Watch e are little details you can add. 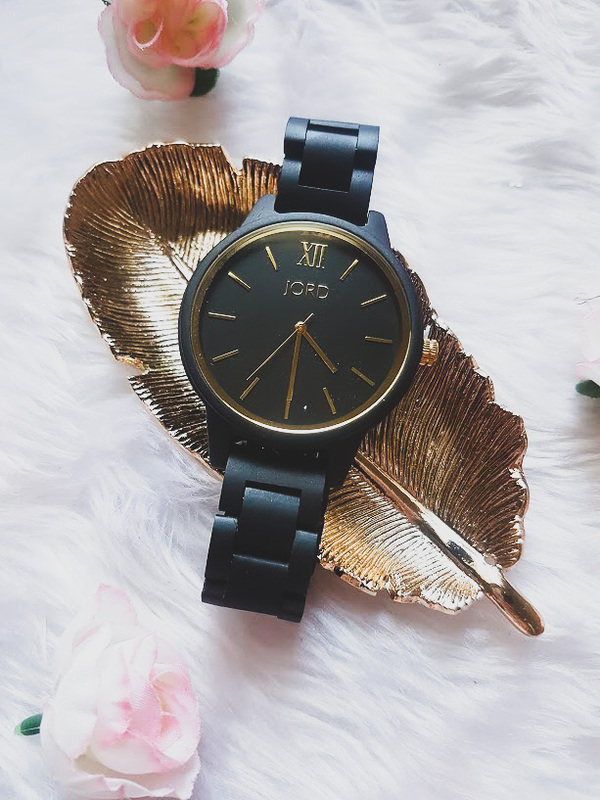 One of the best things you can do is add some personalisation through engraving, for just $35 you can engrave a message on the back of the watch. There is also the option to engrave the box that the watch comes in with a sweet message. They have a very large range of both men's and women's watches, which means that you can buy for absolutely anyone at any time of the year! 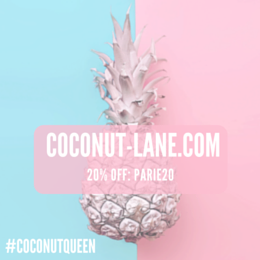 The giveaway will close 02/11/2018 at 11:59pm.